On my last day in Palestine, I watched a beautiful sun rise over the palm trees of Jenin. Birds chirped, doves cooed. Susan Abulhawa, in her heartbreaking novel, Mornings in Jenin, describes the protagonist of her story, Amal, watching that same sun rise with her father, before the 1948 Declaration of the State of Israel, and before the current occupation. It was a fitting end for my trip to Palestine. 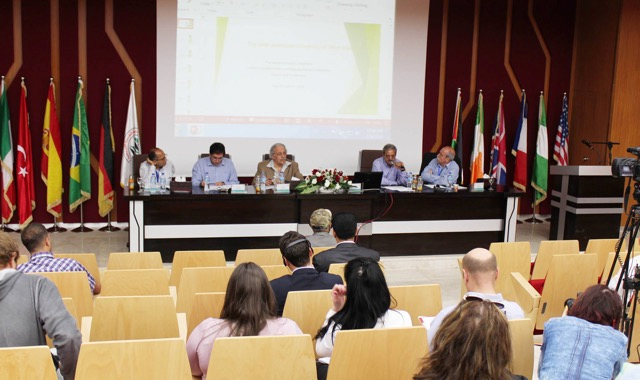 I was there to speak at a conference on "Peacebuilding and Conflict Transformation in Palestine: Reality and Challenges," sponsored by Coventry University in the UK's Centre for Trust, Peace, and Social Relations and the Arab-American University at Jenin. AAUJ-a school that 15 years ago did not exist and now has 9,500 students, is a place where figuratively the sun is indeed rising on initiatives within Palestine that promise to bring a just peace to the Holy Land-as speaker after speaker articulated with passion and intellectual clarity. Mufid Qassoum, VP for International Relations, had ended our conference by telling us that he loved us, and that only love can overcome the hatred that has for over a century torn the Holy Land with blood and struggle. 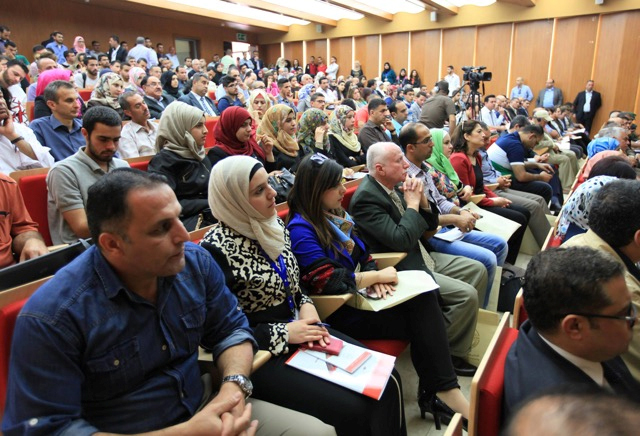 Such high-flown rhetoric was a departure from the ordinary discourse of the conference, which engaged reasoned analyses of ways nonviolent resistance, organizing, and education can grow a healthy civil society among Palestinians. Dr. Alp Ozerdem of Coventry University in the UK was the keynote speaker, and he described how the "liberal peace agenda" and its romantic language of "participation" had failed to address the root causes of conflict, including structural injustices and the "military economy" in Israel (and around the globe) that fostered an elite that benefited from occupation. From among the many excellent speakers, Dr. Jad Isaacs shared maps documenting "colonial settlements" and the gerrymandering of Palestinian territories that divided to conquer the indigenous peoples of the land-starting with the segregation of Gaza and the West Bank. Dr. Basheer Basheer noted how "neutralizing history" worked to perpetuate the status quo of occupation. Unless history can be narrated honestly in all its atrocity-from Shoah to Nakbah, no "politics of reconciliation" is possible. Hillary Kipnis (a lawyer from the U.S.) walked us through the legal challenges facing advocacy for Palestinian children-who face harassment, imprisonment, and torture; and Dr. Erika Jimenez traced how her research is engaging young people in conflict transformation training to give them a voice on behalf of children's rights. My own remarks invited participants to consider the role of religious groups in peacebuilding, especially around discourses of "return" and practices of "pilgrimage." The young people in attendance-many of whom are MA students in the newly-chartered program in Peace and Conflict Studies at AAUJ-the first in Palestine, asked pointed questions about the Israeli occupation and about the prospects and challenges of peacebuilding in the region. After the close of the formal conference, one of those students, Juana Hafi, took us on a tour of the UN Refugee Camp in Jenin, leveled by the IDF tanks and bulldozers during the second Intifada. Its narrow streets and alleys-rebuilt by UAE investment, still bear the posters of the young men who died in that conflict. The challenges of occupation were everywhere present in the everyday lives of Palestinians. Yet speaker after speaker articulated hope-for the long haul, in nonviolent resistance, community organizing, legal advocacy, international engagement, political action, and economic investment. The tenor of the conference-the full program of which is in the hyperlink is fittingly summarized by the words of novelist Abulhawa: "The roots of our grief coil so deeply into loss that death has come to live with us like a family member who makes you happy by avoiding you, but who is still one of the family." But then there was that sunrise over Jenin. Underneath the trauma and grief, evident in the anger and frustration echoed by many speakers, simmered a resilient hope. That hope was manifest in the gleaming buildings and thousands of young people at AAUJ studying engineering and business and medicine and peacebuilding. Such yearning for learning suggests, again in the words of Abulhawa, a "love that dives naked toward infinity's reach. I think it is where God lives." Planning for future conferences, to include "all stakeholders" in the region, is underway. Jon Pahl is the Peter Paul and Elizabeth Hagan Professor of History at The Lutheran Theological Seminary at Philadelphia, where he also directs MA Programs, including a new program in public leadership.